Medical swabs are essential devices in medical operations. These single-use tools are designed and fabricated for diverse applications, including wound treatment, specimen collection and even equipment cleanup. It is important to note that there are different types of swabs available for varying uses. Therefore, if you are on the market for swabs for your work environment, you must evaluate the available options before making your purchase. Here is a simple guide on the different medical swabs, their benefits and uses to help you select the best products. Calcium alginate swabs have organic tips. These tips are fabricated using a material derived from seaweed. These products are primarily used for specimen collection, but they are also quite advantageous in wound treatment. The primary benefit of using calcium alginate swabs over alternatives is the biodegradability. The fibers on the body and around wounds from the tips will degrade naturally, eliminating residues. 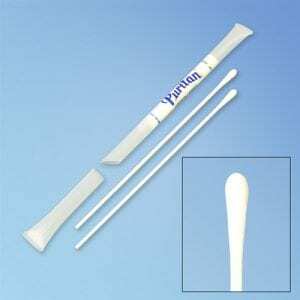 If you are looking for general purpose medical swabs, you should choose cotton tip products. These tools are low-cost items which are perfect for high volume needs. Moreover, the products have desirable properties such as high absorbency, safety and softness. 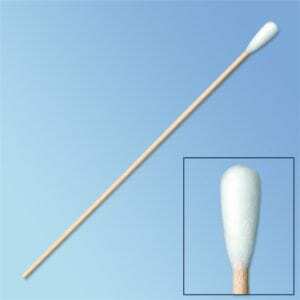 Cotton swabs can be used for wound treatment, cleaning and dressing application. You can also use the swab for sample collection and DNA testing, but you should use DNA free cotton swabs for the most accurate results. You should choose flocked medical swabs if you are on the market for specimen collection tools. These swabs are specially manufactured to guarantee superior performance in this application. The flocked tip of the swab is made by arranging multi-length polyester fibers with split ends uniformly around the shaft. Unlike other swabs, the collection of specimen does not depend on absorption. Instead, the collection relies on the special design, guaranteeing the best extraction performance. 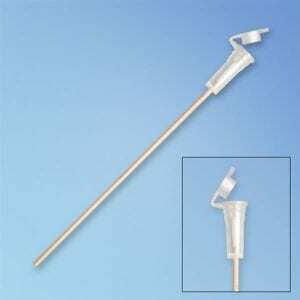 Foam tip medical swabs are fabricated using medical-grade polyurethane foam. The high absorbency of the foam makes the product beneficial for specimen collection and testing applications. The soft, nonabrasive nature of the foam is suitable if you are looking for swabs to clean your delicate equipment. Moreover, it is important to note that the material can withstand exposure to chemicals which compromise other types of tips. You should select special OBGYN medical swabs if you are looking to acquire products for gynecological examination and preparation. These medical tools are designed and fabricated with oversized tips, guaranteeing efficient application. The OBGYN swabs are sterile, highly absorbent and latex-free. When shopping for your swabs, you can purchase rayon or cotton tips. Also, consider acquiring cervical scrapers and collection devices along with your swabs for efficiency. If your laboratory or other medical space requires swabs for biological tests, it is important to consider polyester tip swabs. These sterile devices are made using medical-grade polyester which is compatible with most lab tests. For instance, the polyester tip swabs can be used in PCR testing, rapid test diagnostics and general microbiological analysis. The product is also useful in specimen collection, and its exceptional sterility will prevent sample contamination. Rayon medical swabs are ideal for use in medical applications where cotton-tipped products are unsuitable. Their soft and absorbent nature makes these swabs perfect for specimen collection. In general, the tips of these tools are made using wood pulp. However, the natural material is processed extensively to eliminate compounds which could contaminate the specimen. Therefore, you can collect, process and transport your samples without concern. Measuring surgical wounds, lacerations and other forms of damage can expose a patient to infections. Therefore, it is important to have sterile wound measurement swabs to acquire the right readings while minimizing the risk of infections. Wound measurement sticks and swabs are favorable because they are flexible and use a metric rule. Also, the foam tips at the end of the shafts are perfect for undermining, packing and tunneling around the wound. Choosing and purchasing the right medical swabs for your needs is not an insurmountable process. You will only need to consider your potential application of the medical tool in your work environment. It is also advisable to compare the different tip sizes and shaft lengths and designs. In addition, you must think about the suitability of the shaft material for your applications. 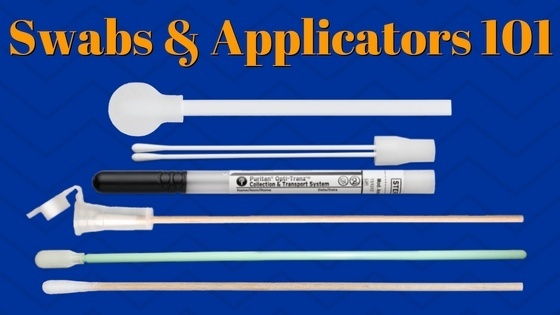 If you are interested in a range of disposable swabs and applicators, consult Harmony Business Supplies for more information. DNA is a molecule found in humans and virtually every other living thing on the planet. Through this hereditary material, testing companies can discover a world of information about any given individual. Virtually all cells in the body carry the same DNA, but the cheek is often used as the primary site for collecting DNA. Swabbing the cheek is an approach widely used across a number of applications, including paternity testing, criminal investigations, and determining ancestry. This method is preferred because it’s non-invasive, unlike blood tests. (As you might imagine, it’s a welcome alternative for needle-averse individuals!) The cheek is also an ideal site for testable genetic material, as a wealth of DNA can be retrieved from just a small sample of saliva. That said, there are some considerations to be mindful of when it comes to using cheek swabbing to extract DNA. Most importantly, you need to have the right tools. You might think that all swabs are created equal, but that’s not the case when it comes to DNA testing. It turns out these little swabs play a major role in achieving accurate DNA results. In fact, a study published by the Journal of Forensic Research confirmed that the tightness of cotton found on sterile swabs can actually impact the odds of creating conclusive DNA profiles. Thus, if your situation is critically important – for instance, you’re ruling out a suspect in a homicide case – there’s absolutely no room for mistakes! 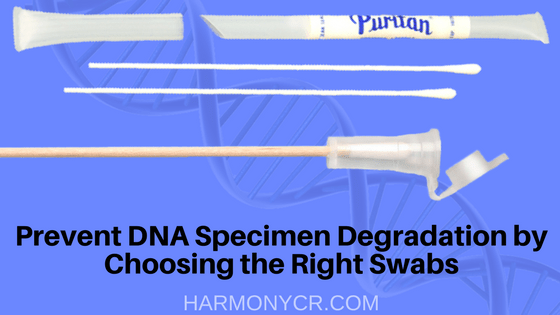 So, choosing the right sterile swabs is a critical component in ensuring accurate DNA results. But can’t you just use the regular cotton swabs found at the grocery store to retrieve DNA? In theory, you could but the results would be less than perfect. The swab is likely to return inconclusive results. At a minimum when you’re collecting a DNA sample the swab should be sterile. This eliminates contaminants that may cloud your results. Optimally, you should use a DNA Free swab that is tested and certified to be DNA free. When it comes to selecting the right sterile swab, you have some choices. While they all serve the same purpose, swabs can be made from different materials. We’ll explore each below, along with its properties and pros and cons. Foam-tip sterile swabs, as their names suggest, have foam ends designed to capture the cells found inside a person’s cheek (also known as buccal cells). The foam is highly absorbent, which is ideal for collecting and retaining saliva. Since they’re non-abrasive, they won’t cause any discomfort to the DNA donor. Their gentle tip also makes it easy for nurses and medical professionals to rub the swab thoroughly in the cheek pocket and near the gum line, where saliva often accumulates. 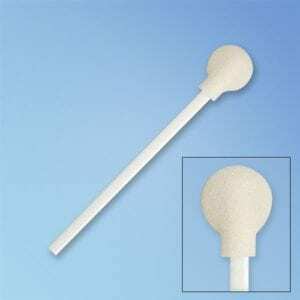 Among all the types of sterile swabs, foam tip swabs have the highest particle collection capacity. Their porous nature allows them to capture a high-quality DNA sample, and the retrieval process is equally efficient. When lab workers need to release the sample, all they’ll have to do is elute the foam tip into their preferred buffer method. Foam tip swabs are also available in a variety of different sizes to accommodate all types of donors and applications. Small and regular tip sizes available, and the tip also comes in different shapes, including standard, rectangular, and round. You can also choose among different shaft materials, including plastic and polypropylene. To preserve sterility, each swab is individually wrapped. 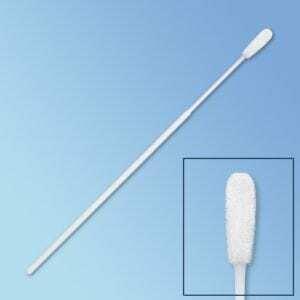 Like foam tip swabs, flocked sterile swabs have superior collection and release characteristics. Although they aren’t as absorbent as the foam tip swabs, they feature unique flocked fibers which make collection and elution simple and effective. Polyester flock swabs are commonly used in buccal cell collection, and due to their excellent absorption and elution capabilities, they are the go-to options for rapid diagnostic testing. Flocking refers to a process of applying short fibers to an adhesive-coated surface, resulting in a swab with a velvet-like brush tip. Their flocked fiber tip structure also makes them a gentler alternative to foam and cotton sterile swabs. Thus, they can be used even in newborns, and their collection characteristics make it possible to collect saliva even in children whose salivary glands may not be developed. These, too, come in a variety of options. Tip sizes range from mini (18.4 by 3.4 mm) to large (16.2 by 5.3 mm) to even elongated (17.3 by 5.5 mm). Flocked sterile swabs are also pre-packaged to prevent contamination. Finally, there’s the swab everyone knows and loves: the cotton swab. Again, these medical-grade cotton sterile swabs are far different from those you use at home. Not only do they feature longer shafts for convenient cell collection, they also may be produced in cleanroom environments to prevent any possibility of DNA contamination. By nature, cotton is a bit more abrasive than the foam and flocked swabs described above. Yet, that can be an advantage for DNA collection – it provides ample friction for releasing buccal cells. It’s also still gentle enough to prevent any discomfort. Cotton sterile swabs are also versatile because you can either elute the swab in a buffer or remove the tip and drop it into a vial. Like the varieties described above, cotton sterile swabs are available in a variety of sizes and quantities, and are packaged individually. Do you need an ample DNA size for your application, or will it suffice to have a small sample? How old are the donors from whom you’re collecting DNA? Will a professional be collecting the DNA, or will the donor themselves be performing the retrieval? Is the sterile swab going to be part of a kit? Will the samples be transported, or will the tests be performed on premises? No matter your unique needs, Harmony Business Supplies has the right sterile swabs available for your DNA/buccal cell retrieval purposes. With dozens of materials, sizes, shapes, and quantities to choose from, we have a diverse selection of low-cost swabs available. All of the options listed above are available at HarmonyCR.com, where you can view each swab’s specific properties to make the best selection for your business. If you’re still unsure on which swab is perfect for you, give our supply specialist a call and they’ll be glad to help you choose the right swab for your needs.